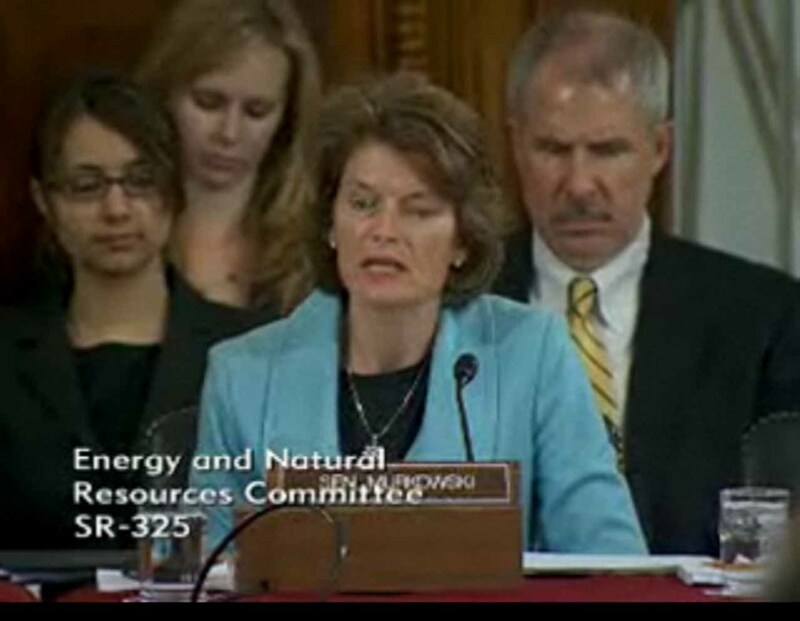 Senator Lisa Murkowski (R-AK), Ranking Member of the Energy and Natural Resources Committee, clearly stated in her own remarks in a Senate hearing that “production of energy will never be without risk or environmental consequence"
By stopping a voice vote on the floor yesterday, Senator Murkowski (R-AK) blocked the quick passage of the short bill. As rationale for the procedural move, Senator Murkowski said raising the liability limit for oil producers from 75 would unfairly advantage large oil companies by pricing the small companies out of the market. But the goal of keeping in the small companies who cannot withstand the cost burden of oil spills means that the taxpayer will end up footing the bill of a large cleanup. In some sense we are lucky that the accident in the Gulf of Mexico happened to one of the oil majors and not a small producer. BP has the financial ability to step up and make the promises that have been made publically – to pay all legitimate claims for damages resulting from the spill. BP is self-insured and will take a hit in terms of the global company’s profits, but they can withstand the losses. If this happened to a small company with significantly less assets, would they volunteer to pay beyond the current $75 million cap allowed in current legislation? It is quite likely that they would not. And who picks up that bill? Obviously the public does. So given that on May 11, 2010 Senator Lisa Murkowski, ranking member of the Energy and Natural Resources Committee, clearly stated in her own remarks in a Senate hearing that “production of energy will never be without risk or environmental consequence,” one can only conclude that another spill will occur one day. The question at hand then is who will pay to clean up the spill and address its environmental damages. If small producers are unable to guarantee that they will fix and harm they cause at levels above $75 million, we need to seriously consider whether we want those companies who are marginal to be allowed to drill in U.S. waters. Competition in the marketplace is great, but it is important in any well-functioning market to have a level playing field. And in this case, a level playing field should mean those companies who want access to the public’s offshore oil assets must be able to guarantee that they can address a mess if one comes up. « Why the rush to explore space, when the oceans are the likely key to life on earth? And in this case, a level playing field should mean those companies who want access to the public’s offshore oil assets must be able to guarantee that they can address a mess if one comes up. This is the key point…in every other sector of our society, someone can be held accountable. Well, almost every other sector. Let’s not forget about Wall Street.